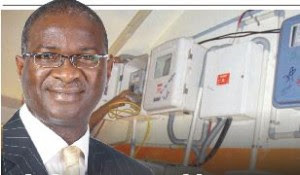 Consequently, the Joint Committee met and resolved as follows: that the status quo ante in respect of the management must be maintained; that the Minister should endeavour to appear before the Committee on Monday, 6th February, 2017 by 10am and that all TCN staff and relevant stakeholders should maintain the peace in the overall interest of the nation.” Fashola out of town— Aide Reacting to the invitation, the media aide to the Minister, Hakeem Bello said the Permanent Secretary in the Ministry wrote to the Senate informing them that the Hon Minister who was out of Abuja on assignment could not honour the invitation, adding that he would be at the National Assembly to with with them. According to him: “We are currently on tour of the highway projects in the South East zone of the country. We have been to Imo and Abia, and now we are heading to Eboyin,” he said.